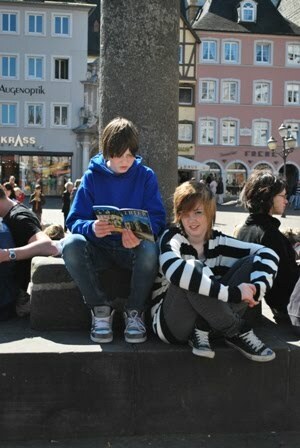 In true family tradition, we had another lovely FFD (that's Forced Family Day for you newbies) and drove to Trier, Germany. 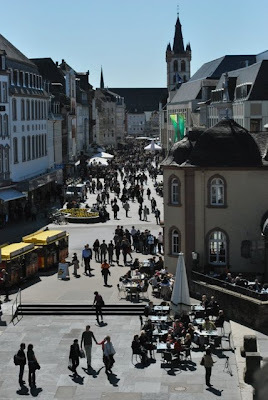 Trier is about a three hour drive from our house that takes you through the Ardenne region, Luxembourg and about 10 miles into Germany. 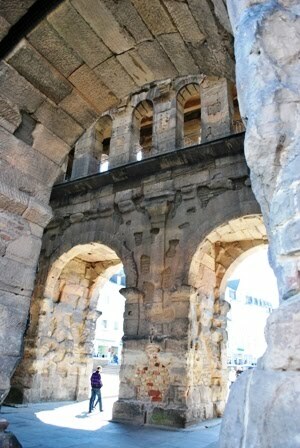 Trier's claim to fame is it's very, very long history. 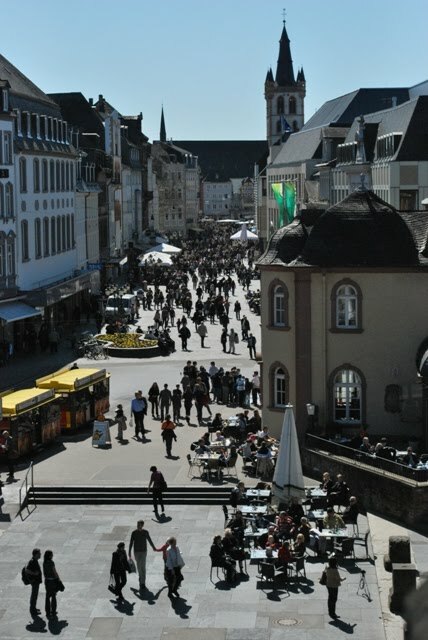 According to medieval legend about the origins of the city - Trier stood one thousand and three hundred years BEFORE Rome. Factually speaking, though, it's history begins around 50 BC when Gaius Julius Caesar conquered Gaul and took over the Mosell region for the Roman Empire. 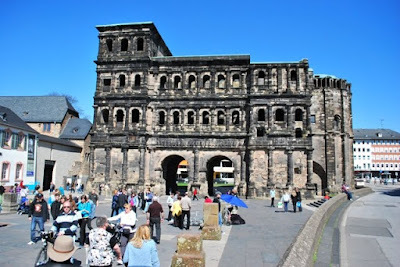 The most famous and awesome landmark in this quaint city is the Porta Nigra (Black Gate) which is the largest surviving Roman city gate north of the Alps. 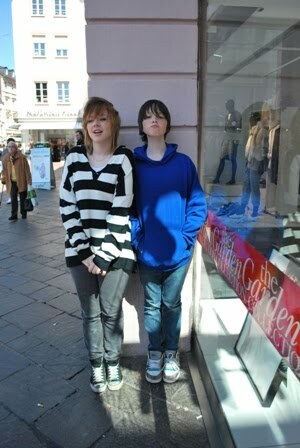 The Gate was part of a huge wall the surrounded the city of Trier. 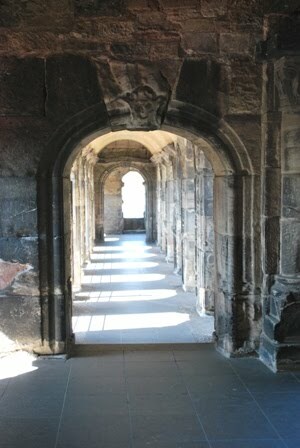 It only survives to this day because it became a cathedral around the 4th century. We enjoyed a nice walk through the market square, some tasty Italian lunch. Afterwards we paid a small fee for the privilege of exploring the gate (which by the way has NO mortar holding it together) and also a small but well done city museum that I could have spent a few hours in if the parking meter wasn't screaming our name.